Searching for Scholarships? How to find scholarships? 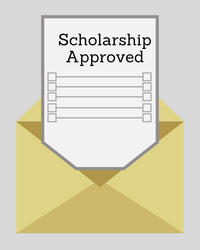 Scholarships are a form of financial aid given to different candidates in recognition of their academic achievements or some unique talents. While the competition for such scholarships is very high, only the best of students with high grades and excellent extracurricular activities get them, the only way for you to find out if you are eligible is to apply for them. Aside from personal preference for location and activities, international students looking to study in the United States may consider financial assistance as a major factor when choosing a university. U.S. News reviewed colleges and universities in the United States (based on certain criteria) to determine which offered the most financial aid to students looking to expand upon their higher education from a different country. According to U.S. News, Skidmore College (in New York) offers the most financial aid to international students, though it offers the amounts to smaller numbers of students. Yale University (in Connecticut) offers the second largest amount of funding but offers far more international students financial aid options. Among the top five for financial assistance are Amherst College (in Massachusetts), Williams College (in Massachusetts) and Wesleyan University (in Connecticut), offering larger amounts of money per year to students as an incentive to come study in the United States. Scholarships and Grants, in most cases take care of your entire college tuition fees which are a big burden off your shoulder. Even if they do not remove 100% of your tuition, they will cover a large percentage of the fees which you will have to pay. Either way, scholarships will allow you to focus on your studies alone without worrying about your finances. It sets you above the rest in your class i.e. it confirms and highlights your exceptional profile. If you are a merit student with a steady scholarship, job-searching and recommendations become much simpler. PLANNING IN ADVANCE: There are some Universities that offer maximum scholarships to International students whereas some other which offer very limited scholarships to International students. So the first step would be to identify and become a part of the former. WALKING THE EXTRA MILE: Find out what scholarships and grants are specifically available to International students. Check out websites, online forums and send e-mails. Ask a lot of questions, and the answers will give you a head-start into the scholarship-hunting. SCHOLARSHIPS OFFERED BY VARIOUS UNIVERSITIES: It is not necessary that only your Institution of study should offer scholarships. You can apply for scholarships in any state in U.S.A as long as you pass the eligibility criteria and the trick to attain the scholarship is to possess that unique talent that sets you apart from the crowd. SCHOLARSHIPS SEARCH ENGINE: Scholarships can be searched online through various search engines such as scholarships.com and CollegeBoard.com. Most of these tools require information to put together a complete profile of the candidate and then will match scholarships and awards based on the eligibility criteria. The search results will then be made available to you based on your unique profile. FAFSA: The Free Application for Federal Student Aid offers financial assistance and Grants to the majority of its enrolled students. Filling out this form allows many Universities to make use of this information to determine which students are eligible for what scholarships. The only catch here is that you need to be a citizen of America. Avoid Scholarships that require you to submit some payment to apply for it. Beware of scholarships that require in-depth, sensitive information about the candidate in the early application period. Be sure that it is a scam if the application requires the details of your credit card and other financial details. Once you have discovered a scholarship which you are eligible for the next step would be to apply early with an eye on the deadlines. Most scholarship applications require an essay to be submitted. Work on it from the beginning and give it your best shot. Answer the questions in the application directly to the point and complete all the questions. Proof-read it once before submitting your application. How to search for Scholarships?